You’re Almost There! Why are we asking for your information? This helps us sort our customers from our competitors. We keep our inventory private to ensure we always have the lowest price. Once this is completed, you’ll have 30 days to access and shop our private inventory. Discover savings you’ll only find at Cable Dahmer Kia! 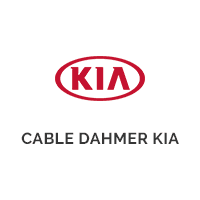 Cable Dahmer Kia of Lee's Summit	38.946795, -94.369842.